You always need something good to binge watch. Netflix added some great movies and shows to the line up this past month. With the new year comes time to add more to the Netflix queue. In the past weeks, I've had a lot of time on my hands. Netflix was my go to time killer when I wasn't working or hanging out with my friends, but with my winter break coming to a sad end I decided to share my personal watch list to you. 1. 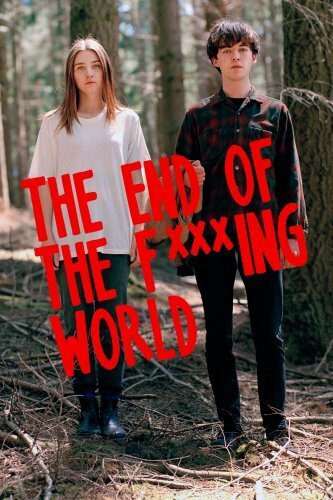 "The End of the F***ing World"
An eight-episode British Television Comedy that showcases two troubled teens who decided to run away together. James, a 17-year-old psychopath, teams up with Alyssa the new mysterious girl in school. With plans to make her his first human kill, he agrees to be her boyfriend and run away to find her estranged father. Each episode running a half hour makes for an exciting 4-hour binge of this show. With off-screen couple Britt Robertson and Dylan O'Brien, this movie should be written down as a must see coming of age movie. Still being a freshman in college, this movie is still relevant to my life, showcasing the unpredictability of your first love. The two main characters stumble upon each other at a party and develop an intoxicating bond. The 1989 classic take on the beloved character features Micheal Keaton as Batman and Jack Nicholson as the Joker. Everyone should add this Tim Burton classic now added to Netflix, Christian Bale has nothing on Keaton's performance of Batman. 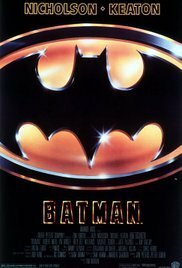 Not only can this cinematic gold be found on Netflix, but its equally amazing sequel with Danny Devito and Michelle Pfeiffer, "Batman Returns". 4. 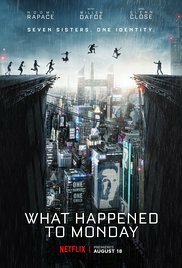 "What Happened to Monday"
This Netflix original although added in August, it took me a few months to uncover. Noomi Rapace, otherwise known as "The Girl With the Dragon Tattoo," plays 7 identical twins in a near future where siblings are forbidden. Noomi gives the audience a spectacular performance with each character uniquely different and likable in their own ways. This movie is by far the biggest must-see on this list. With excellent writing and visual effects it's almost undetectable that Noomi is the only actor of the seven sisters. With Netflix's "Atypical" lead Keir Gilcrest and "Nashville" star Aubrey Peeples comes to an independent film that showcases a relationship between two uniquely different teens. This film documents love so strong it becomes Gilcrest's character, Henry, to reach a dangerous level of obsession. This is a film won't be everyone's favorite, but worth watching if you enjoy independent films with two fantastic actors. 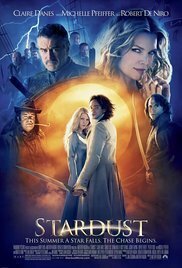 Stardust is simply one of my favorite films, but it's not well known. Based on a very dark novel comes a stellar cast of actors thrusting the audience into an epic fantasy world where fallen stars are used to win girls hearts and bring youth to witches. A film of comedy, romance, and intense action provides joy to any audience member. Although I watched this series when it came out in August it's a show that needs to be watched. 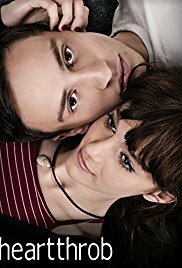 As I've previously, mentioned Keir Gilcrest stars as Sam Gardner, an autistic teen who thinks it's time to find a girlfriend. 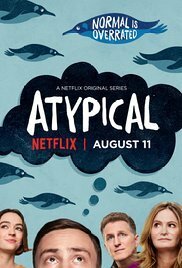 This show is absolutely worth watching, showcasing the struggles the whole family experiences as they try to find normalcy with two teen children trying to figure out the ways of love. Being a big sister to a brother with autism, this was also a great show to watch to develop a better understanding of what autism is.